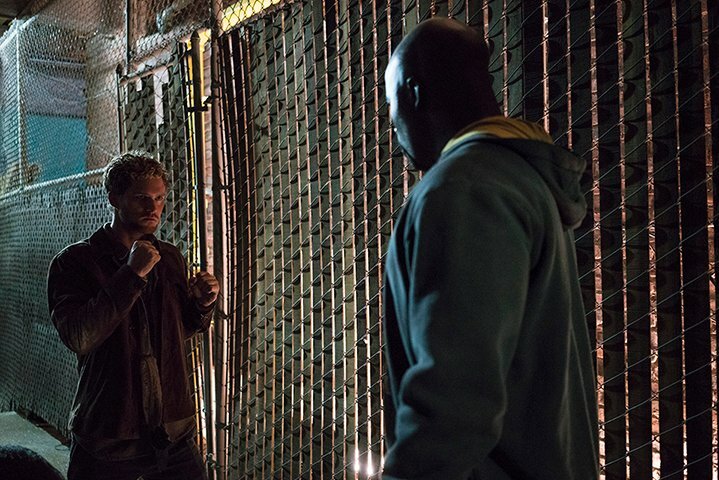 The long-awaited Netflix miniseries, The Defenders, which will bring together Daredevil, Jessica Jones, Luke Cage and Iron Fist, is almost upon us. 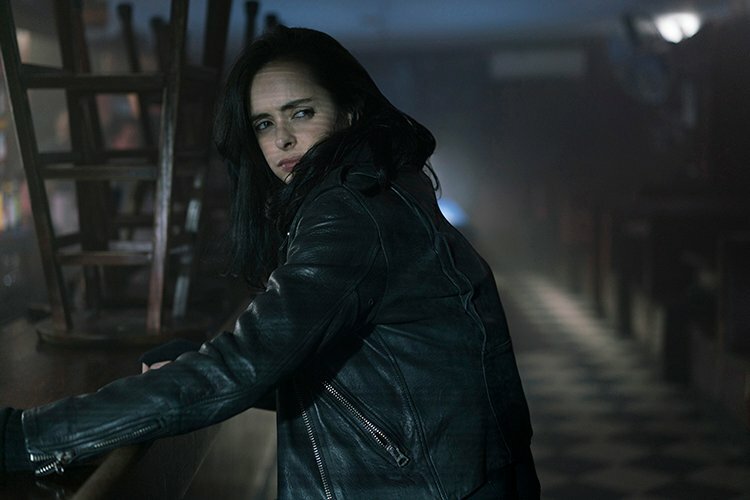 Now, with the show arriving this August, Marvel and the streaming service are beginning to rev up the publicity engine in order to get us all hyped for it – as if we needed anymore encouragement, right? 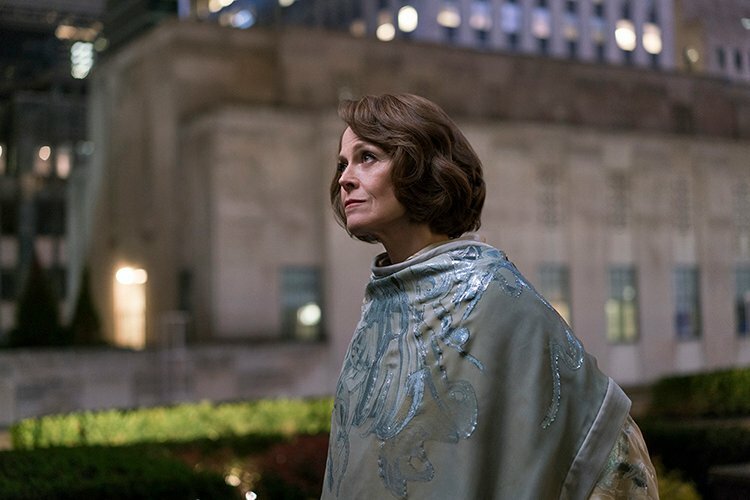 As you surely know by now, yesterday brought us the very first full-length trailer for the show, which delivered everything we could have wanted: lots of crossover goodness, Sigourney Weaver, another hallway fight scene, etc. Following up on that, today brings with it a collection of official images, which you can browse through in the gallery below. The photos mostly consist of stills from scenes featured in the trailer. 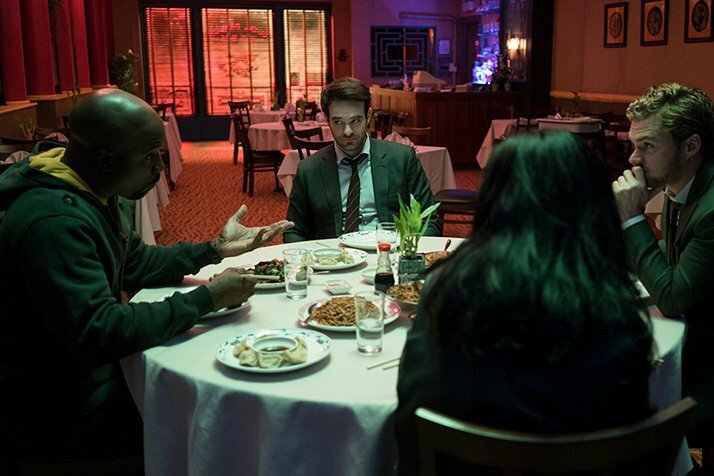 For instance, the four heroes tucking into some Chinese food and Matt and Jessica’s first meeting in Misty Knight’s interrogation room. 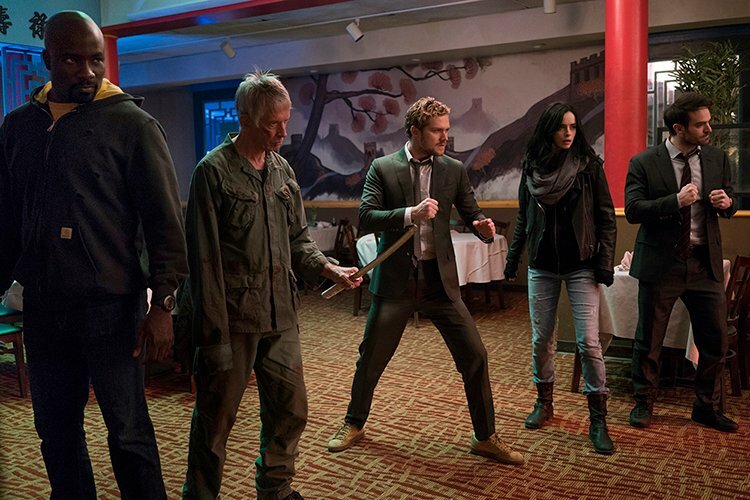 The highlight, however, is the image of the Defenders and Stick gearing up for a fight, a moment that was also glimpsed in the trailer. 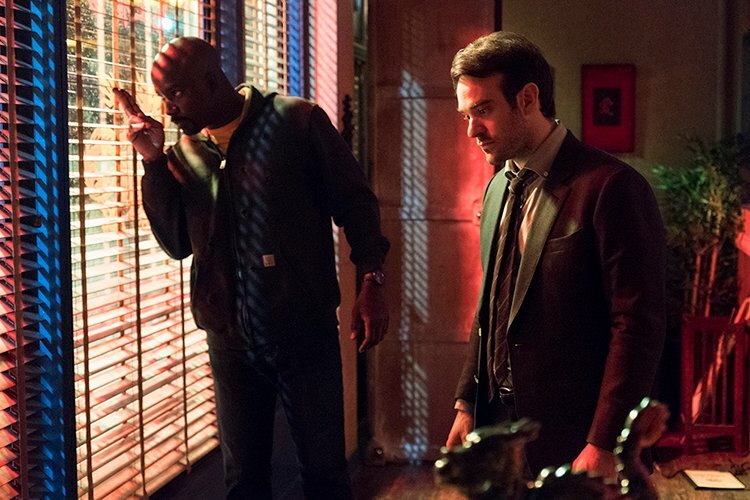 Elsewhere, there are a couple of shots we haven’t seen before, including an apparent team-up between Daredevil and Luke Cage and a fresh look at Weaver’s uber-villain Alexandra. 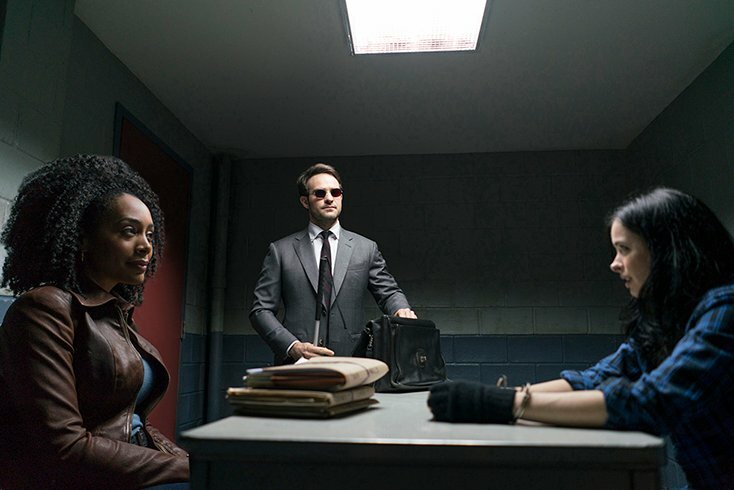 The Defenders stars Charlie Cox, Krysten Ritter, Mike Coulter and Finn Jones, with Sigourney Weaver, Rosario Dawson and Scott Glenn playing major supporting roles. 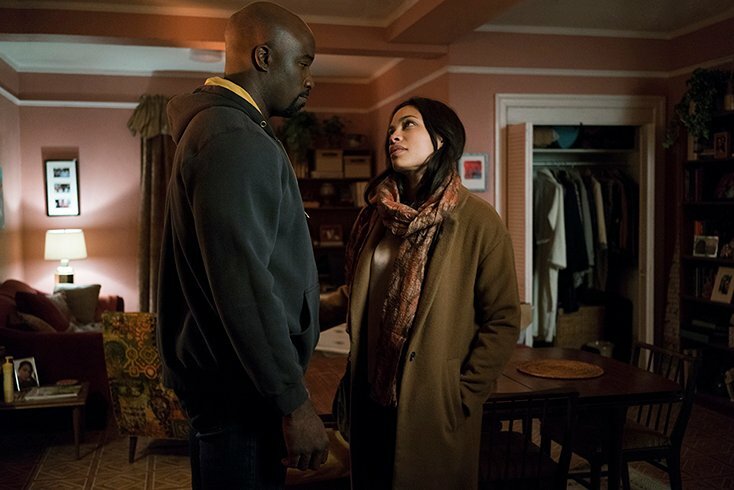 Many of the cast members from the other Marvel/Netflix shows will also appear here as well, including Daredevil‘s Elodie Yung, Deborah Ann Woll and Elden Hensen; Jessica Jones‘ Eka Darville, Rachel Taylor and Carrie-Anne Moss; Luke Cage‘s Simone Missick and Iron Fist’s Jessica Henwick. 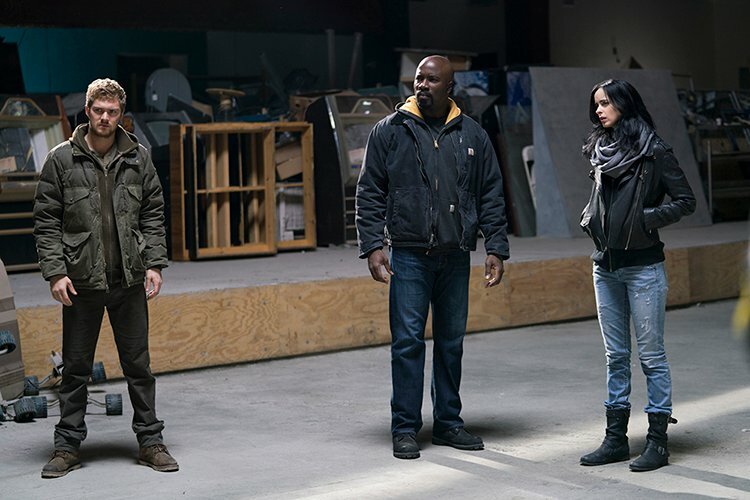 All eight episodes of The Defenders arrive on Netflix on August 18th, so we don’t have too much longer to go now until we get to find out if it’ll live up to all the years of hype.